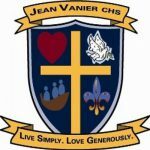 Acclaimed as “a Canadian who inspires the world” (Maclean’s Magazine) and a “nation builder” (The Globe and Mail), Jean Vanier is the founder of the international movement of L’Arche communities, where people who have developmental disabilities and the friends who assist them create homes and share life together. Born in 1928 in Geneva Switzerland, where his father was serving as a Canadian diplomat, he is the son of Governor-General Georges Vanier and Pauline Vanier. He was educated in England and Canada and grew up speaking both French and English. At just 13, during the most difficult period of World War II, he persuaded his father to permit him to enter England’s Royal Naval Academy. He served in the British Navy and then the Royal Canadian Navy. In 1950, looking for deeper meaning in his life, he resigned his commission in the navy and began a period of spiritual search. During this time he worked on a doctorate in philosophy, which he received from the Institut Catholique in Paris. After teaching at St. Michael’s College, University of Toronto, he returned to France. Distressed by the plight of people with developmental disabilities, in 1964 he welcomed two men from an institution to live with him in a little home he called “L’Arche”, after Noah’s ark in the French village of Trosly Breuil. L’Arche grew quickly as this new way of sharing life together in community with people who would otherwise be shut away in institutions attracted many young people. And Vanier himself began traveling and speaking about his own life-changing experience of coming to know people with developmental disabilities. Today, there are 130 L’Arche communities in 30 countries on six continents. 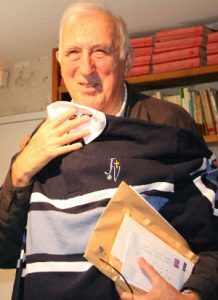 Jean Vanier carried the responsibility for l’Arche in Trosly Breuil and for the International Federation of L’Arche communities until the late 70s. When he stepped aside from those responsibilities, it was to invite others to take leadership and to give his time more to counseling and accompanying the assistants in their personal journey and to traveling to give lectures and retreats and encourage projects for new communities. Jean Vanier has become a leader in consciousness-raising about the suffering of all who are marginalized. He is internationally recognized for his compelling vision of what it means to live a fully human life and for his social and spiritual leadership in building a compassionate society. He has written a number of best-selling books. Vanier resides in the original L’Arche community in Trosly-Breuil, France, when he is not travelling and speaking. Vanier is recipient of numerous honours and awards recognizing his humanitarian work and his leadership as a social visionary, among them the Companion of the Order of Canada, the Legion of Honour (France), the Pope Paul VI International Prize, the International Peace Award (Community of Christ), the Rabbi Gunther Plaut Humanitarian Award, and the Gaudium et Spes Award.